At Liquid Floors, strengthening and beautifying concrete is our specialty. Why keep cleaning and waxing bare floors when you can allow our concrete experts to revolutionize your floors with polishing. Want to find out more? Click below! Concrete polishing involves grinding down the top layer of the concrete to remove blemishes and other imperfections in the concrete floor surface and chemicals to harden the concrete surface are used to make the surface durable and stain resistant. Then, stains or colors can be applied to make your floor stunning and finally we do a final polish and burnish to lock in the polish. Let’s make your floors SUPERFLOORS! Click below! Why Liquid Floors Concrete Polishing? Your floors make a powerful statement. At Liquid Floors we are not only committed to providing you elite customer service, we are also committed to making your floor look and perform at the highest level. The formula is simple. Your floors are our floors and we will take care of them as if they were our own. When we are finished, with your floors, our goal is for you, your employees and your clients to be utterly and completely amazed. Call us and let’s get started! Polished concrete floors do not need to be waxed and buffed, which saves time and money. They can be cleaned and dusted using just a damp mop. Polished concrete flooring is also resistant to chips and cracks. There is no need to purchase separate flooring when your floors are polished by us. To turn the slab into suitable flooring, it is ground down with high-powered floor grinders that use diamond cutters to hone and polish to the desired shine level. 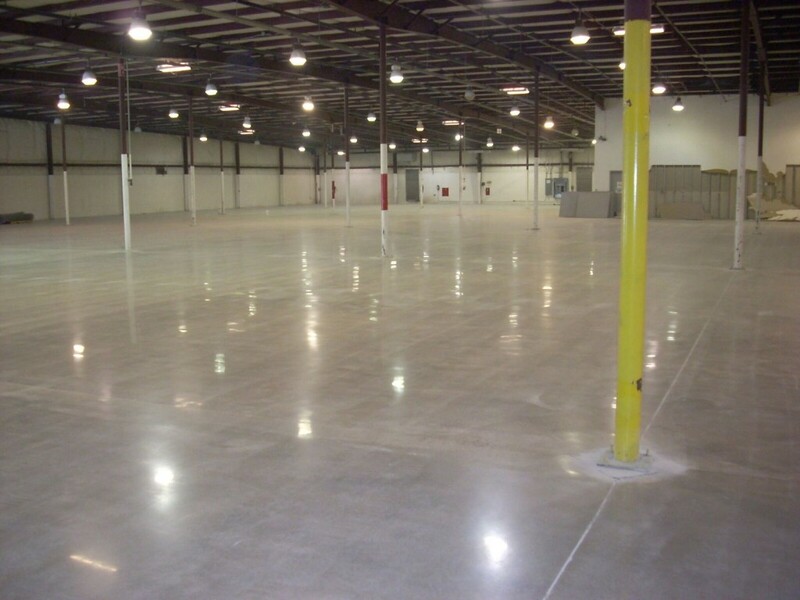 If your building needs light, a polished concrete floor is a great way to add more light without more fixtures! Your floor will reflect the light from your current fixtures and windows to make the area look bright, clean and professional. Polished concrete floors are resistant to water, oil and chemical spills. They also do not transfer water or moisture. This prevents damage caused by spills since they cannot seep into the floor and cause cracks. Ready to Polish Your Floors? Concrete polishing makes your floors beautiful and strong without needing to purchase any separate flooring. It will look stunning and make your life easier. If you are ready to revolutionize your floors, contact us now!